Your junior year of high school is when all the excitement over college begins. Want some advice, tips and checklists to stay organized? This complimentary guide is for you. 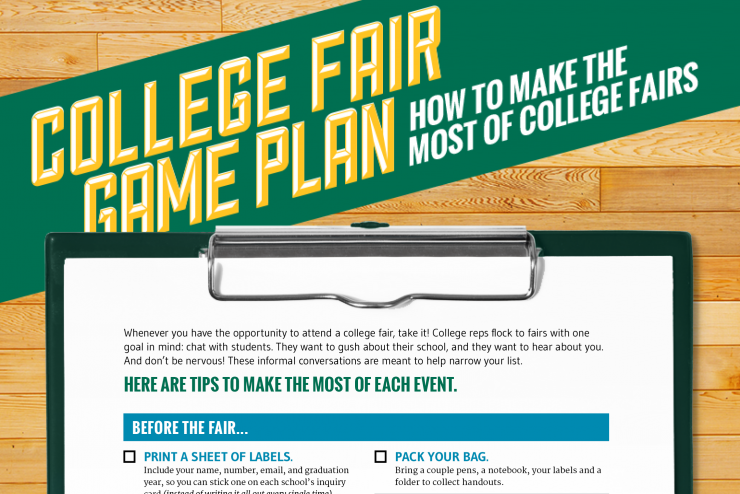 Make the most of college fairs. Be prepared, impress the reps and return home with a list of colleges you’d like to explore further. 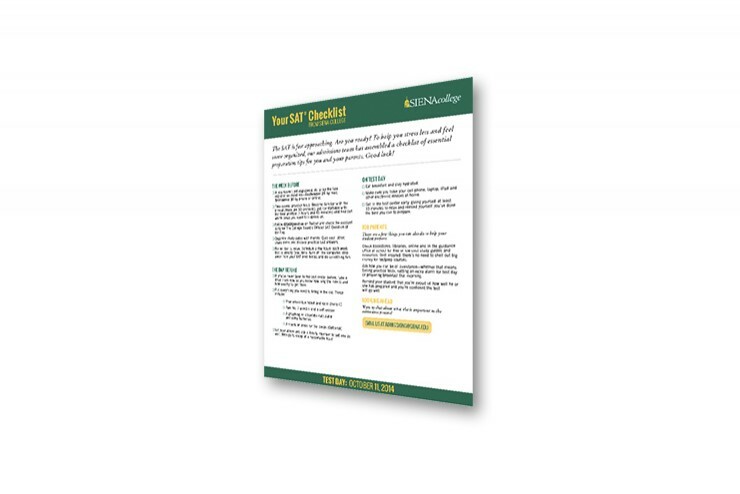 Whether you’re a student preparing to take the SAT or a parent looking to help out, the Siena College admissions team has put together a checklist of tips to help you stay on track. 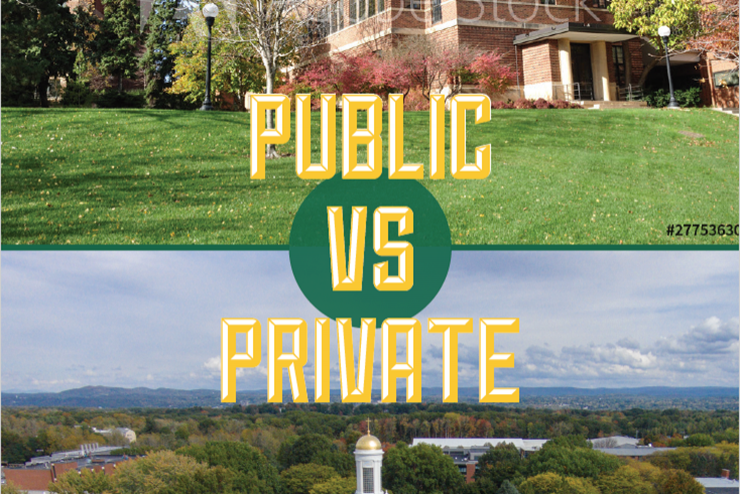 SHOULD YOU GO TO PRIVATE SCHOOL OR PUBLIC? 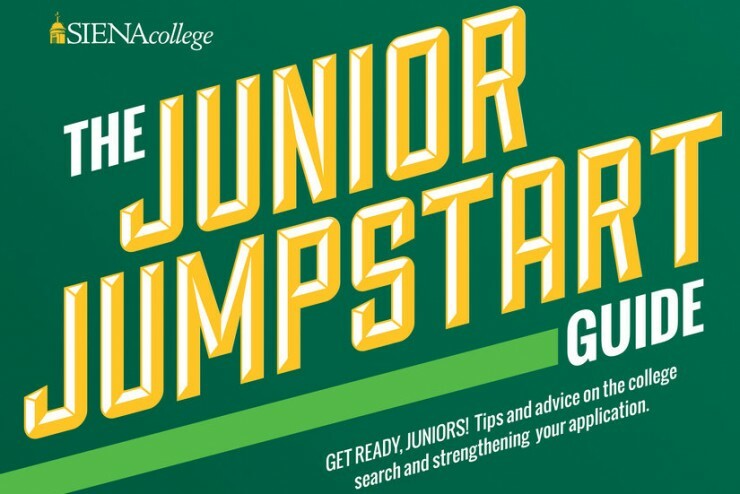 Your college decision is made up of a thousand smaller decisions: majors and minors and clubs and internship opportunities. Big or small. Near or far. And possibly the trickiest: private or public. Wondering what the difference is between the two? 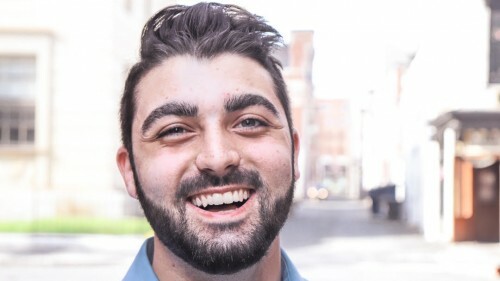 This guide is for you. 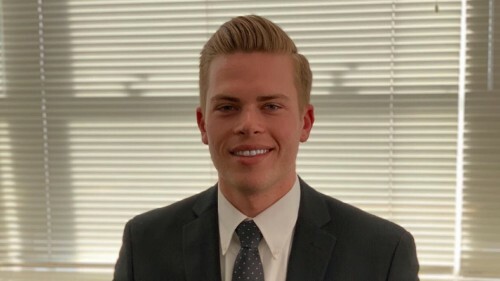 More and more, employers across fields are hiring graduates with key liberal arts skills (think: writing and problem solving). 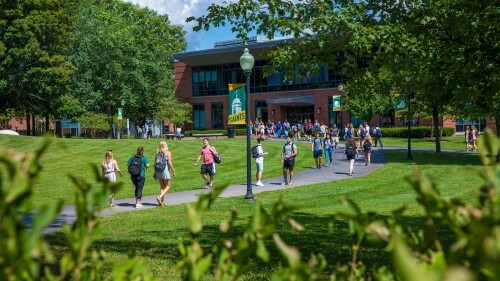 But that’s just one of the many reasons a small, private, liberal arts college could be your best bet. It's never too early to start thinking about financial aid. 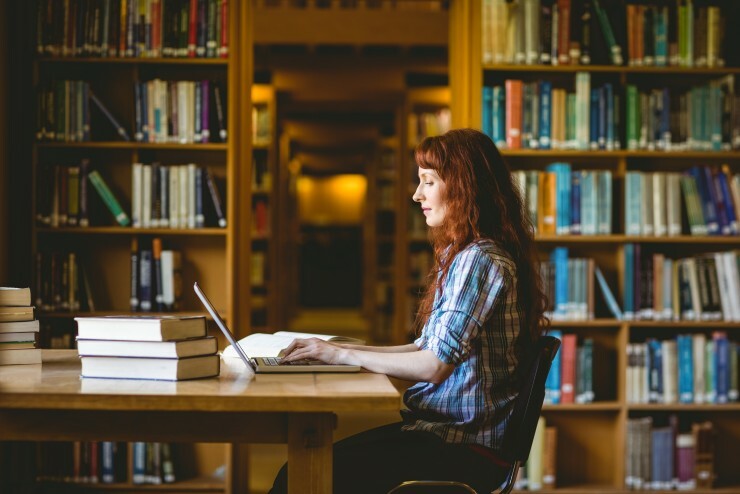 Download this guide to learn who should apply for aid and when, tips for navigating the online FAFSA, the terms you need to know and their definitions and advice for comparing awards from different schools. 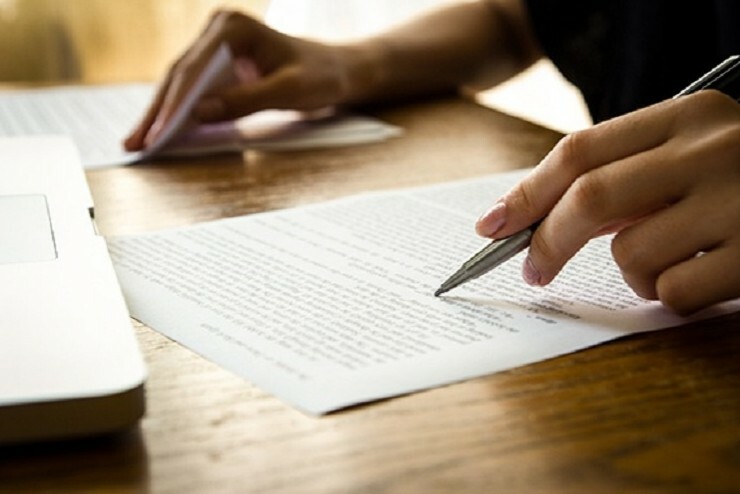 There comes a point in the college application process when it’s time to write the all-important personal statement. 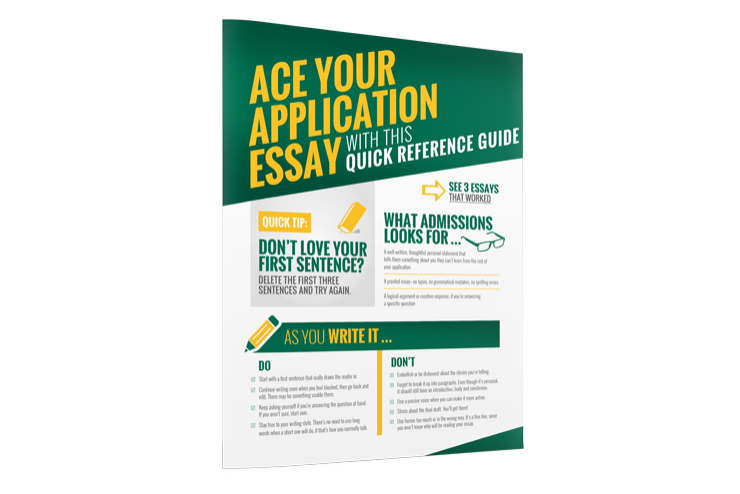 The essay is your chance to show Admissions who you are, what sets you apart and how well you write. 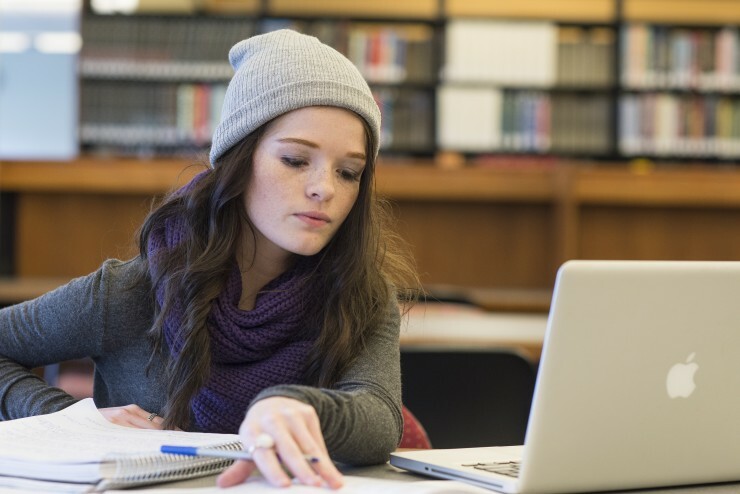 Use this guide to ace your essay.